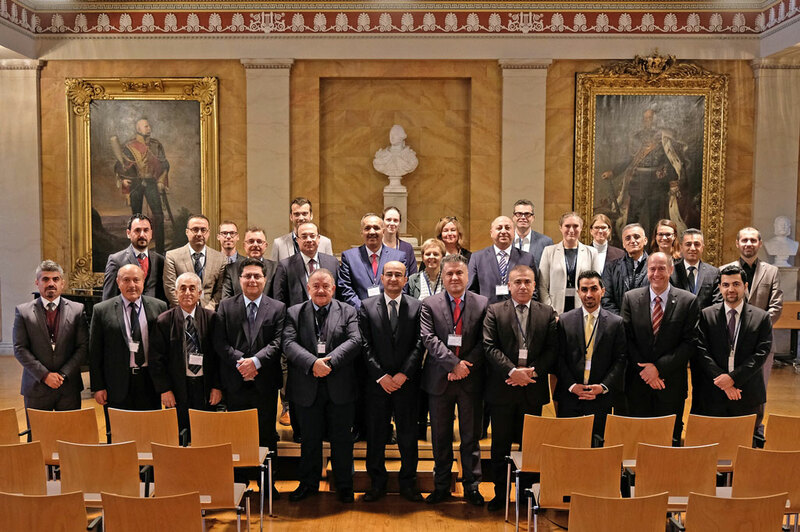 Workshop on Strategy Development, Change Management and Internationalisation of Doctoral Training & TIGRIS Consortium Meeting, 24th – 26th June 2019, at Masaryk University, Czech Republic. TIGRIS Dual-Workshop on the Development of Strategies for Internationalisation, Mobility and Research Cooperation & Curricular Reforms for Internationalisation and the International Classroom, 19th – 21st February 2019, at the Georg-August-Universität Göttingen, Germany. TIGRIS Workshop on Project Writing, International Marketing & the Use of Management Information Systems for Smart Administration of Internationalisation, 4th – 6th February 2019, at Charmo University. TIGRIS Workshop on the Bologna Process & Implementation of ECTS, 11th – 13th December 2018, at University of Raparin. TIGRIS Annual Dissemination Conference, 27th September 2018, at Salahaddin University – Erbil. TIGRIS Work Package 1 Concluding Workshop, 24th – 26th September 2018, at University of Sulaimani. TIGRIS Webinar on financial and administrative management of the TIGRIS Project, 23rd August 2018. TIGRIS Project Symposium, 14th May 2018, at Sulaimani Polytechnic University. TIGRIS Study Visits, 4th – 17th March 2018, to Masaryk University, Global Impact Institute, Rijksuniversiteit Groningen & Katholieke Universiteit Leuven. TIGRIS Kick-Off Meeting, 9th – 10th November 2017, at the Georg-August-Universität Göttingen, Germany.